A lot of youth aspire to make positive change in their community, whether by spreading awareness about a certain issue, empowering community groups, serving the needy, advocating for a cause or lobbying for some policy change, yet in most cases they lack the needed skills, tools and resources to achieve what they dream of. Applicants must be all volunteering in their project, not paid in any way to plan/implement it. Applicants must work according to Aie Serve’s philosophy of non-discrimination, non-political, non-religious activities while upholding the values of respect, acceptance, love among team members and beneficiaries. Applicants must be able to plan and implement their project in a period of 3~4 months maximum. 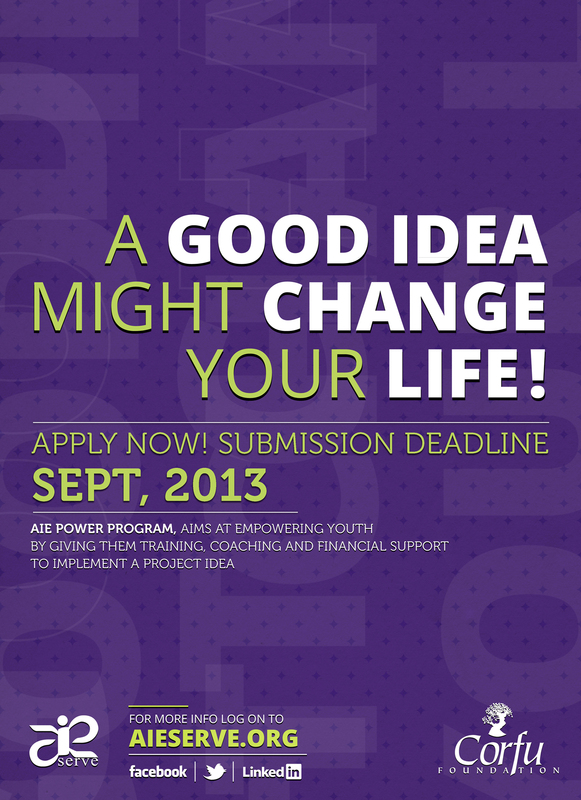 Applicants must be able to implement their project with no more than $2,000 in total costs. Applicants must attend all training workshops, meetings and coaching sessions set by the Aie Serve to be eligible.